This revolutionary new clearomizer is an amazing addition to the Joye 510 electronic cigarette line. It's center has a top-placed wick with cotton strings protruding from it to soak up whatever liquid goes into it to create a smooth flavorful e cigarette hit! 510 clearomizer for all Joye510 and ego battries. No leaks and No burnt taste. Simply pop the top and fill using the e liquid bottle. 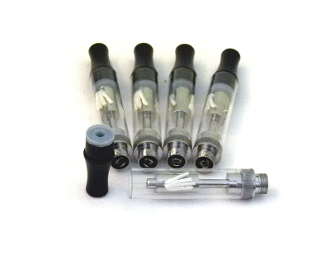 To fill the 510 clearomizer tilt it on it's side and avoid getting liquid in the center part.